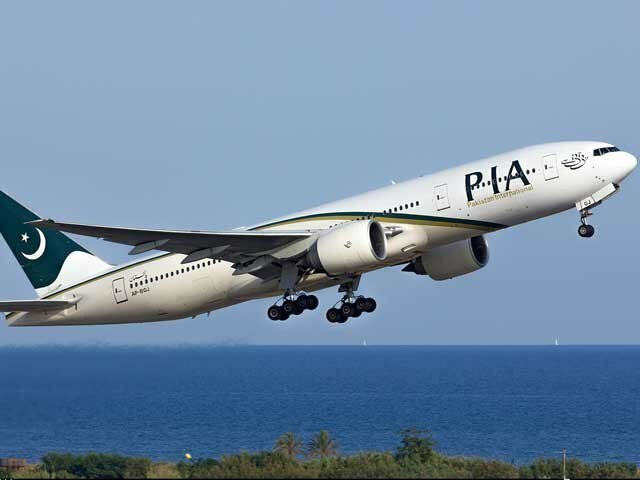 BEIJING: Pakistan International Airlines (PIA) has airlifted 860 tonnes of cargo from China to Pakistan during the last year registering around 100 percent increase as compared with the preceding year. “The national flag carrier transported 860 tons of cargo in the year 2018 while it airlifted 460 tonnes in 2017,” Pakistan International Airlines (PIA)'s Country Manager to China, Hong Kong, and Macau, Nasir Jamal Malik said on Thursday. The airline, operating two flights a week on Islamabad-Beijing route, has converted its business class into “business executive class” to further facilitate customers. The fare has been reduced while service is being provided at par with the business class, he told APP. About suspension of PIA flight from Beijing to Tokyo, he confirmed that starting February 15, the PIA will suspend its operation to the Japanese capital as the second leg of its Islamabad-Beijing-Tokyo route. The management has decided to suspend flights from Beijing to Tokyo due to heavy losses being incurred on this route. Only the flights between Beijing and Tokyo are being suspended and that the Islamabad-Beijing route will remain intact. The country manager said that currently Air China and China Southern are operating flights from Beijing to Islamabad and Guangzhou to Lahore respectively. He said that the national flag carrier could also start a direct flight from Guangzhou to cater to the needs of the business community of both Pakistan and China. “We have already completed a feasibility report for the launch of a new Lahore-Guangzhou flight of the national flag carrier and submitted the feasibility report for the approval,” he added. He said the proposed direct flight is economically viable as Guangzhou is one of the most important cities in China which has a huge trade, investment and joint venture opportunities for the Pakistani businessmen. He pointed out that a private Pakistan airline has been operating its flights twice a week for Guangzhou from Lahore in the past but it has also closed down its operation. Nasir Jamal said that PIA is providing a discount on airfare to Pakistani students studying in China but other airlines also try to attract them through different schemes, adding China Southern airline offers 64 kg baggage facility to Pakistani students. #UrduLateefay – ایک مرغی کی شادی کوے سے ہوگئی تو مرغا شکایت لیکر …☺..